Subscription boxes are all the rage right now. No matter what you enjoy, I can almost guarantee that there’s a subscription box for it. I considered some literature boxes (such as Owlcrate or LitCube), but for $30-$40 I can purchase books that I WANT from Book Outlet without all of the buttons and Out of Print socks (of which I already own several awesome pairs). That being said, I decided to give Nerd Block a go and see if it was worth the $20 a month. I chose the three-month subscription, which gives you a discount. I think I ended up paying around $17 for each box, plus $10 shipping each month. March was a “Doctor Who-themed” box and I just love Doctor Who so I went for it. 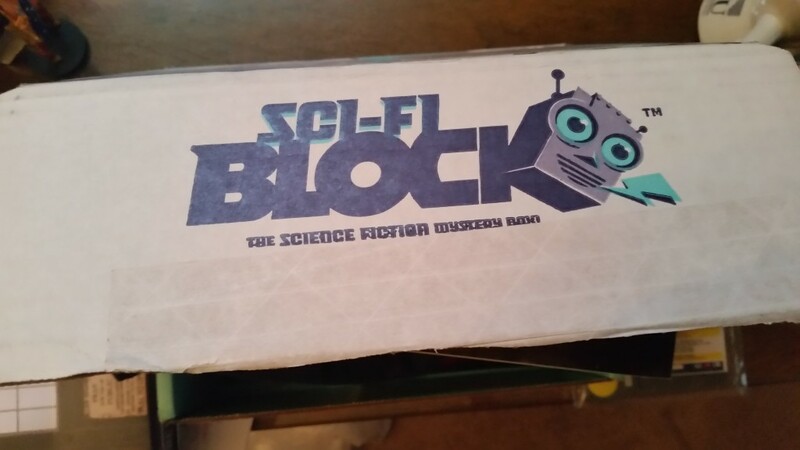 Let me remind folks that I signed up for the “Sci-Fi” subscription, as there are several different boxes to choose from. You can check out Nerd Block for these separate subscriptions. So when my box arrived around the middle of the month, I was excited. 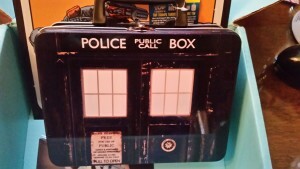 What kind of cool Doctor Who swag would I find? 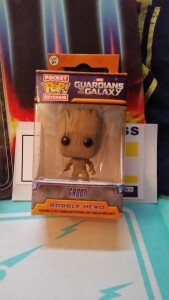 POP Figures? A Who-themed T-shirt (please please please)? What all did I get? 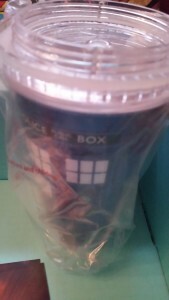 I was a little disappointed that I didn’t get a Doctor Who shirt, given that it was a Doctor Who box, but yeah, okay. It’s cute, but frankly, I’m not a big Fifth Element fan. 5 and 6) And finally, to the Doctor Who items. 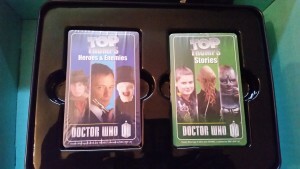 I received a nice cup and a Trump Card Set with a TARDIS metal container. These were great! Overall, I was pretty happy with the contents. 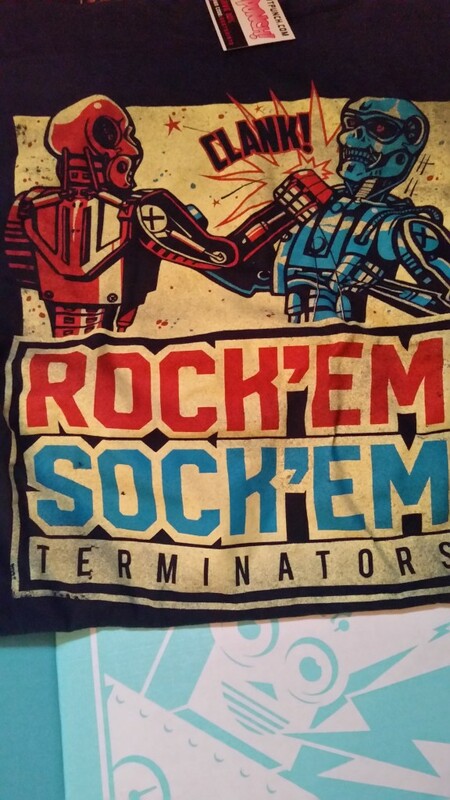 Although I LOVE Guardians of the Galaxy, I’m not a big fan of Terminator (Sorry Arnold!) or The Fifth Element. I probably won’t keep these items. Of course, all this is a matter of perogative. I LOVE just about anything sci-fi (Star Trek, Star Wars, Doctor Who) but there were some franchises in this box that I just wasn’t that excited about. 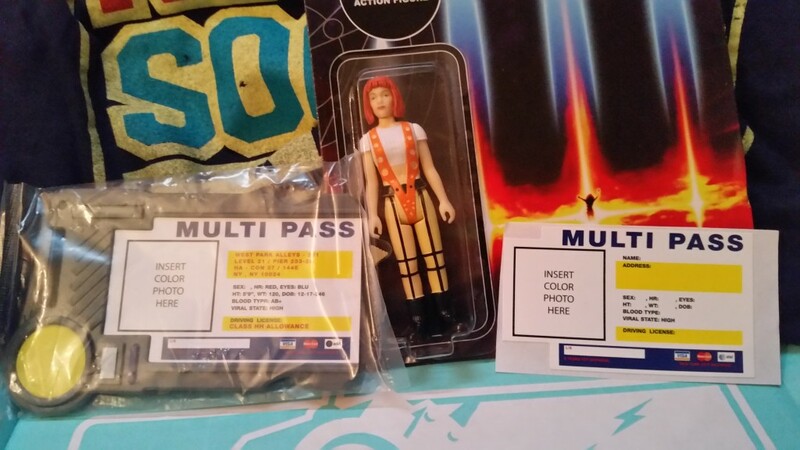 I really enjoyed the Doctor Who items however, and it is worth $17 for the items that I will keep. The cup alone would be at least $10, and the keychain $5. The card set, I’m certain, is worth more than two bucks. I feel that I “got my money’s worth” in this box. 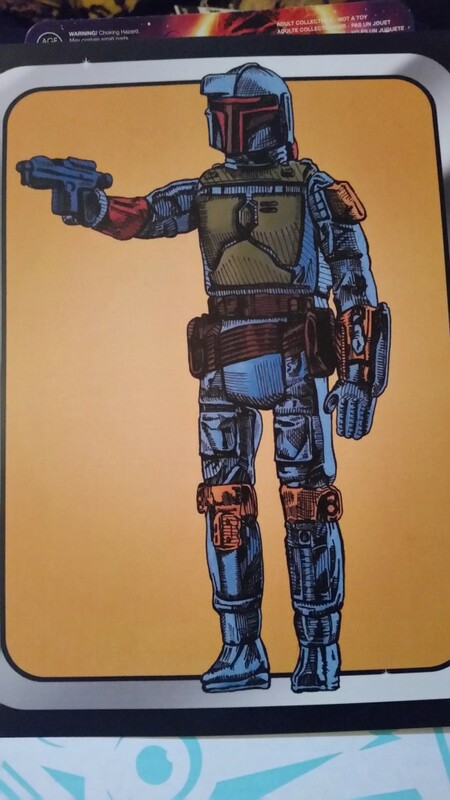 Next month is Star Wars, which makes me incredibly excited. I know that this month’s box will also have items from Spaceballs in it (which is technically still Star Wars-related since it is a parody). I’m excited to see what arrives at my doorstep.